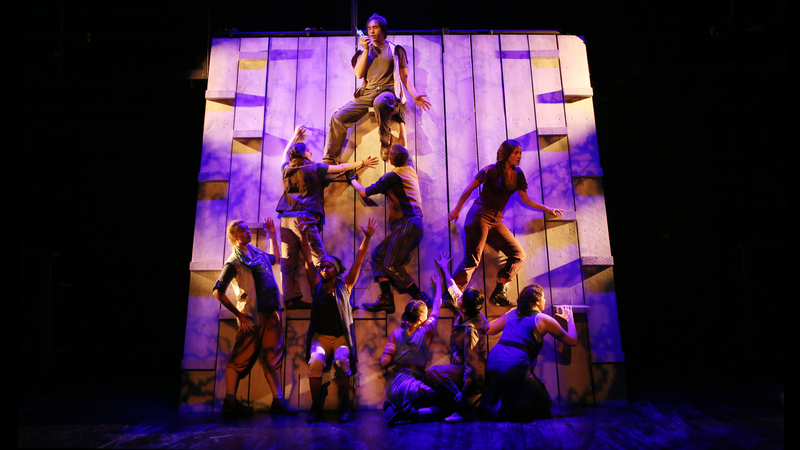 The Skidmore Theater Department is a preprofessional program that offers students the opportunity to pursue the serious study of the theater arts within a liberal arts setting. Courses within the department afford training in the basic demands of the discipline—physical and vocal control, technique in acting and directing, technical and design skills—as well as the opportunity for advanced study, practical production experience, study abroad, and off-campus internships. The college liberal arts requirements help students to understand the moral, intellectual, and political context in which any artist practices. Theater has the potential to encourage difficult conversations, to ask important questions about cultural representation, to provide a place for interrogating power dynamics, and to give voice to marginalized populations. The Skidmore Theater Department is committed to exploring ways to engage in issues of culture, race, ethnicity, socioeconomic class, gender identity, sexual orientation, and disability both on and off stage. We strive to create opportunities for students who have been historically underrepresented on our stages.